We are shedding some light on Community neighborhood watch programs and their effectiveness, and how to start a successful neighborhood watch. Your home is your castle, protecting you and keeping you from harm. Your neighborhood is like the moat that surrounds your castle. Just like if there are dangers in or around the moat that surrounds a real castle, if there are dangers lurking in your neighborhood, the safety of you and your loved ones is at risk. For that reason, creating a Community neighborhood watch program in place can help to not only ensure your protection but also ensure the protection of everyone who surrounds you. Which brings us to the question, What Is a Community Neighborhood Watch Program? Other names of neighborhood watch, according to the National Crime Prevention Council, are “block watch, town watch, apartment watch, crime watch”. The neighborhood/community watch, one of the most trustworthy and effective ways of preventing crime in a neighborhood, is a crime watch and prevention program. Neighborhood crime watch unites those who live in a neighborhood with law enforcement officials in an effort to deter criminal activity, thus improving the safety of communities and the people who live in them. This program involves relying on the participation of those who live in your neighborhood to monitor the area on a ‘round-the-clock basis. Should any questionable activity be observed, the person or persons who observed it contact local law enforcement officials, who then intervene? “Is there a neighborhood watch in my area?” Join in neighborhood watch immediately if you live in a neighborhood watch area. If you live in a community that does not have a neighborhood watch program, starting one is a lot easier than you may think. The first step is taking the reins and putting the effort forth to get the program started. Here are some things that you can do to get a neighborhood watch program started in your community. Step 1: Contact law enforcement. Local law enforcement officials are one of the staples of an effective neighborhood watch program. Make sure to contact them prior to spreading the word about your program, so that you can ensure that they are on-board and prepared to work with you and your community. Step 2: Organize a launch meeting. Once you have decided that you want to start up a neighborhood watch program, the first thing you should do is hold a launch meeting. Schedule the meeting on a date and time that would be convenient for the majority of the members of your community; weekends are ideal, as most people do not work on weekends. Do note that you can hold two launch meetings, which can be held on separate dates and at different times; on a Saturday afternoon and on a Tuesday evening, for example, to ensure that all members of your community can attend. Set up strict neighborhood watch guidelines. Make sure to invite your local law enforcement officials to the launch meeting(s), as their presence will reassure those who are interested in participating. Hold the meeting(s) in a place that is comfortable and can accommodate all; a community recreation center, your local library or even your home. Step 3: Spread the word. Once you have contacted law enforcement officials and organized your launch meeting, let your community know about it. The easiest way to do this is by making flyers and distributing them in the mailboxes in your community, placing them on doorsteps, or putting them on cars. You can even go door-to-door and personally invite your neighbors to the meeting and distribute flyers. Step 4: Be prepared. Make sure that you are fully prepared to answer any and all questions that your community members may have in regard to the program. If you don’t have an answer at the time a question is asked, make sure that you find out the answer and get back to the person who asked the question. Step 5: Be a leader. The most effective way to start – and keep – a neighborhood watch program going is leading by example. If you are the person who enacts the program, you want to make sure that you set a good example for the rest of the members in your national neighborhood watch Institute to follow. Are Neighborhood Watch Programs Effective? Does neighborhood watch reduce crime? The effectiveness of neighborhood crime watch programs is often doubted. 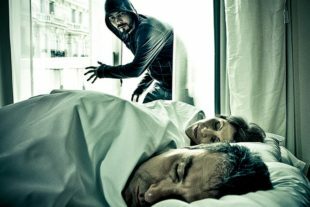 According to neighborhood watch program statistics, the national burglary rate decreased by about 30%. And there have been so many successful neighborhood watch programs, indicating the benefits of forming community watch. More Tips about Forming Successful Neighborhood Watch Programs. • Make the most of neighborhood crime watch website or apps to communicate and cooperate with members in the community more conveniently. • Try using neighborhood watch cameras in your community watch group. A neighborhood with lots of video surveillance camera installed would be less attractive to burglars. Security Cameras and Security Systems. • Set up neighborhood watch stickers, signs, decals in your area. This will keep some intruders or thieves at bay. While your home is your castle and it can certainly protect you from outside dangers, there is only so much that your walls, doors and roof can do. Starting an effective Neighborhood Watch program will ensure your security and the security of everyone who lives in your community. Everyone has the right to feel safe in their community. Whether you’ve got kids playing in the street, you walk to work or just want the general peace of mind of knowing your home and neighborhood are safe, this is something everyone wants and deserves from their community. Unfortunately, this level of community safety is only a reality for a lucky few. These promising decreases in crime rates are likely due to a multitude of factors – including improved policing and crime prevention measures. There has also been an increase in the use of technology in crime prevention and law enforcement with the potential to dramatically improve security levels in our communities. 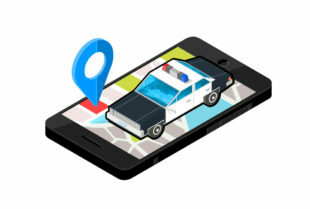 This article will look at some of the technologies being adopted by communities and law enforcement agencies to improve our neighborhood safety. Online crime mapping services have been created with the combined efforts of law enforcement data and community input in order to physically plot where crimes have taken place in our neighborhoods – with data including the time, date, type and exact location of the crime that occurred. Websites like Spot Crime and Crime Mapping make invaluable resources for millions of Americans. You can get involved by organizing a community meeting and examining where the crime is in your community. By doing something as simple as looking for criminal hot spots, police, business owners and members of the public can increase security measures in these areas. Introducing CCTV, deterrent fencing, increased patrols and ensuring the area is well lit can make a dramatic difference – effectively eliminating crime in the area. Many crimes go unpunished through lack of evidence – and whether they’re committed out of sight or prosecutors lack the physical evidence to build a solid case, criminals are getting off the hook. And, without the deterrent of being convicted of a crime, offenders are more likely to fearlessly engage in illegal activity – threatening our communities. There has been a sharp increase in the use of CCTV cameras worldwide, with the UK leading the trend in recording criminal evidence. Current data estimates there is 1 CCTV camera for every 10 people, bringing the total number of cameras in the UK to 4.7 million – many of which protect communities, schools, hospitals and other public areas or buildings. However, these cameras are generally static, meaning they don’t always capture the evidence needed. The development of body-worn camera technology is proving to be a potentially valuable asset to law enforcement in particular. These micro CCTV systems are attached to the officer’s clothes, providing full documentation of evidence from the wearer’s point of view, essentially recording everything you see. It is clear that crime prevention is becoming more reliant upon technology, and it isn’t necessarily a bad thing. However, it will always be the combination of the human and technological element which ultimately makes our communities a safer place. You love your apartment community so why not help keep it safe? There are some things that all of us can do to help make where we live just a little safer! For example, you could start a neighborhood watch program, or if your apartment community already has one, become more involved. Any motivated individual or a collective group can organize a neighborhood watch program, doesn’t matter if you’re young or old, single or married. All you need to do is send a flier around the neighborhood stating your wish to organize a neighborhood watch program or visit your neighbors to communicate your efforts. Set up a meeting at your apartment or the clubhouse so that you and your neighbors can discuss any issues that are occurring. As a group, you should create a list of topics that you find concerning and that need to be addressed. The committee can organize a schedule for who will be patrolling areas and when. 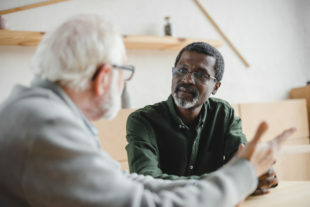 Once you’ve got the basic set up taken care of, you may want to have a police officer come in and sit with the committee to give some ideas of how to spot a potential crime or unusual behavior, how to handle crime, and how to report one. • Coordinate the neighborhood watch with your local Sheriff’s Office. Many Sheriff’s Offices offer start-up open support, guidance, and training for neighborhood watch volunteers. All neighborhood watch volunteers should be required to be trained by the Sheriff’s Office to ensure that the volunteers understand their responsibilities. • Establish a process by which the community vets (perhaps background checks) the volunteers and confirms that each volunteer has been trained and is following the protocol established by the Sheriff. • Create a rule that the volunteers do not engage with any suspected criminals. Instead, the neighborhood watch should simply be a surveillance tool to report to police when they suspect illegal behavior. After creating these rules, the community should monitor that they are being followed and reinforce them continuously. • In that vein, the community should create a rule that the volunteers not be armed. Again, after creating these rules, the community should monitor that they are being followed and reinforce them continuously. • Contact your insurance carrier to confirm that your DNO/Master policy would cover actions taken by the neighborhood watch (and to find the exclusions, i.e. gross negligence on behalf of the volunteer). The neighborhood watch/the volunteers may need to be added to the policy. • Finally, ensure that the community keeps its corporate status in good standing. It is easy for a community corporate charter to be forfeited because of a clerical error. Continue to monitor that the Association is in good standing so that it retains its corporate protections. Establishing a neighborhood watch can impact risk on your community in the event someone is injured as a result of neighborhood watch action. Though the above recommendations will help minimize liability, it is not possible to completely insulate the community from liability. As a result, when deciding whether or not to establish a neighborhood watch, please make sure to evaluate the potential risks with the benefit the Board believes the neighborhood watch will impart to the community. Welcoming new neighbors and attending block parties is also a good start towards building a solid community, he adds. Having an email chain is a great way to spread the word, especially with so many people attached to their smart phones day and night. Once you create your official neighborhood watch Facebook page, it’s time to get the word out. “Canvass your neighborhood door to door, and invite everyone to follow the page to stay up to date on meetings and events,”. A simple postcard or flyer will help let everyone know your intentions for the program. “Choose a social media–savvy neighbor to serve as the Facebook page moderator and ask residents to post any incidences (such as a home or car break-ins),” he says. Make the group private so personal information doesn’t get out to the masses and it feels like a neighborhood safe space. Put the “watch” part of “neighborhood watch” into practice every day by knowing who your neighbors are; this will make it easier to spot suspicious activity. Getting all of your neighbors together can be tricky due to scheduling, but it’s also one of the best ways to keep communication open. Designate a handful of safe homes that children playing or walking home in your neighborhood can come to in case of an emergency. It is ideal if the safe house belongs to someone who is retired or works from home. Make stickers for the front door or window, and make sure the kids in your neighborhood know which homes are safe zones. 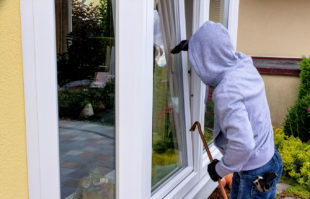 Discourage door-to-door salespeople and other strangers from soliciting in your neighborhood.Notes that many burglars will use this method to case properties. This could be a good topic to bring up at a neighborhood meeting. Ask residents to put a small sign on their door that says “No Solicitation” to make it crystal-clear. People get busy and sometimes forget basic home safety practices. Consider creating and distributing a flyer or pamphlet with reminders like turning on exterior lights at night (a well-lit neighborhood makes crime less likely) and locking cars that are parked on the street. I fully endorse your ideas and strongly believe that community watch program is a good idea for any place, city or community that can be a close-knit unit. Before following this idea, people in my neighborhood were convinced and they all agreed on single point agenda i.e. help each other to establish a safer community. Sharing your post with my friends! The idea of neighborhood or community watch is as useful as it was decades ago. In my area, the community watch program was formed after a rash of burglaries. Initially the thieves targeted outdoor fixtures and vehicles and afterwards, they tried intruding houses. Luckily, this is not the case now. We never faces any such issue since we started following community watch program. Thank you for sharing valuable information with us! Community watch programs always give positive results if they are implemented appropriately. To me, the most vital part of neighborhood community watch programs is the synchronization and communication among community members. 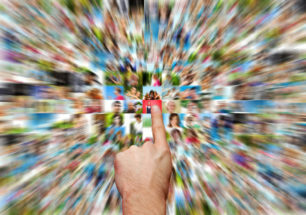 Using modern communication and surveillance gadgets can improve the performance of such programs greatly. Please share some success stories too! Community watch programs are getting popularity almost in every country. These programs are easy to implement and give results. The videos you shared, helped me conceive the whole concept. Good work! Thank you for encouraging people to participate in neighborhood community watch program. Community policing is a known notion and unlike traditional policing, community members trust this method of law enforcement more because it is easy to implement and gives results. Surveillance and monitoring related security tools are very costly and community and neighborhood watch is a perfect answer to stop burglaries and thefts. Community groups with a common goal of securing their houses not only improves security but at the same time improve community bonding. This makes so much sense; neighborhood watch program definitely gives results if every member of the community takes responsibility. There is much to learn from this informative article. Loved reading it! Very insightful post indeed! I recon, community watch program is the right way to deal with encroachers and to avoid such troubles, but to put an extra layer of security, people should consider modern gadgets and security devices too. I presented idea of neighborhood community watch to the community I reside in and they not only appreciated it but we are going to discuss this stuff with authorities so that it is implemented fully. I utilized a few extracts from your article while giving presentation. Keep on sharing your thoughts with us! Amazing and workable idea! Community, especially in small neighborhood can play a vital role in order to assure security and help strengthen bond among people. Neighborhood watches can play a commendable role to improve security and stop thefts and vandalism. I am ready to share this idea with all of my neighbors and relatives. Thank you very much for sharing your thoughts regarding neighborhood watch program. Health and safety are everyone’s responsibility. Small neighborhood watches are very reliable and efficient for a number of reasons, including developing a good relationship between the residents and the local police. The advice here is brilliant and very helpful. Thank you! Rightly stated. Everyone living in a community needs to be a part of an effective watch program. This would help to reduce the rate of burglary that is on the rise in some communities. Thanks for sharing this vital info. It’s time to take the lead in my community and work towards better corporation for improved security. 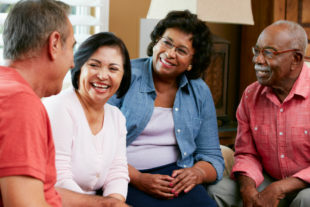 Developing a good rapport with neighbors is important for an effective watch program. Once good communication is developed, it becomes easy to relate with the suggestions provided for enhanced security. The benefit of a community watch program is tremendous. Those events you need to attend that takes you away from home requires the support of a vigilant neighbor. Prevention-based steps for better security is very important. We can all play some little roles which help to remove the hectic burden on cops. Nice read. I think a neighborhood watch program is beneficial for all living in the community. How do I find out more information about if my specific community has a similar program? Give a call to your local law enforcement.